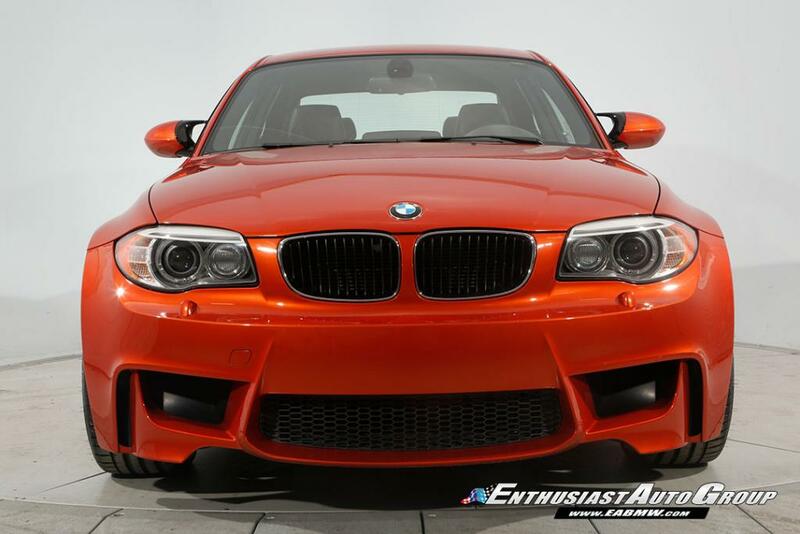 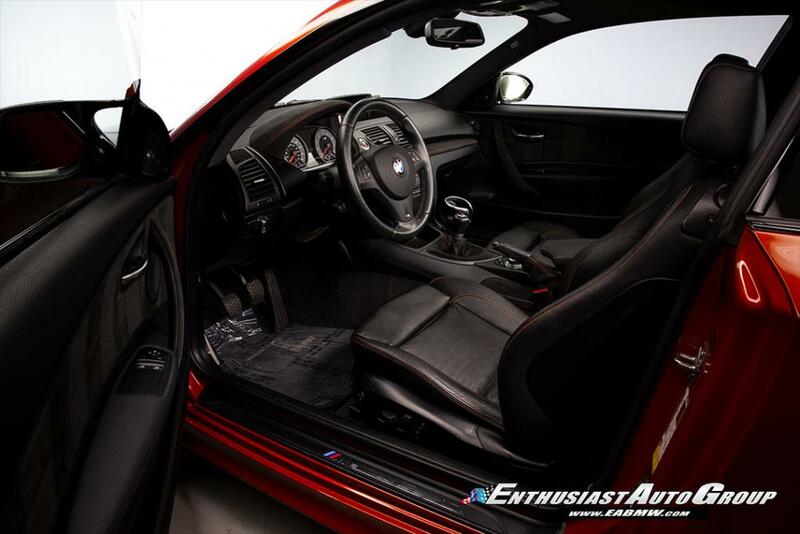 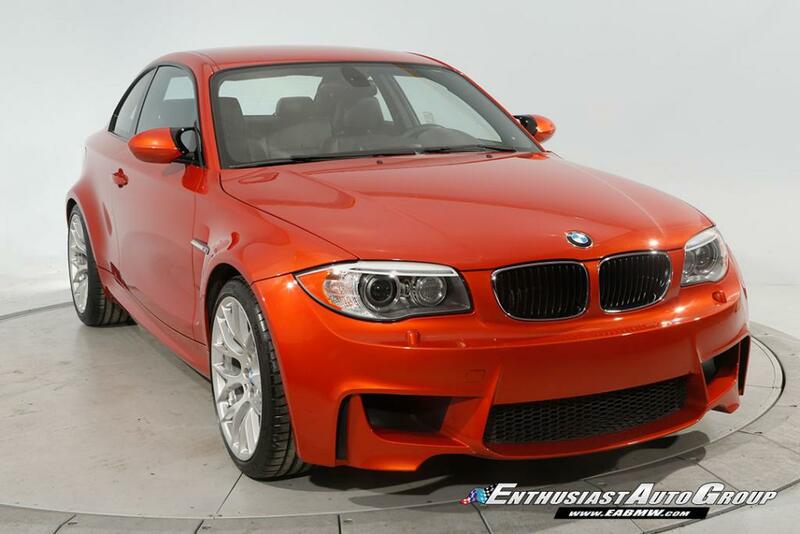 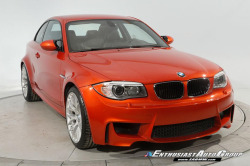 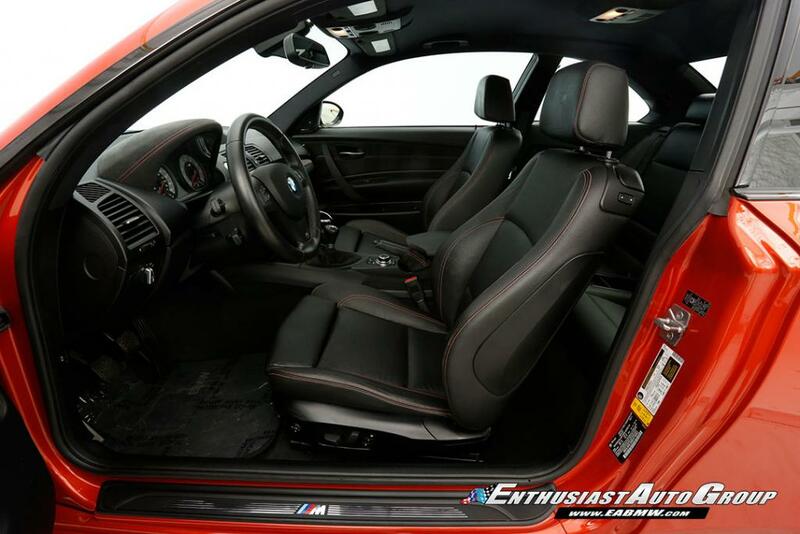 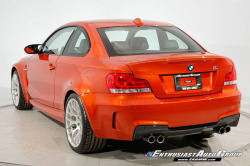 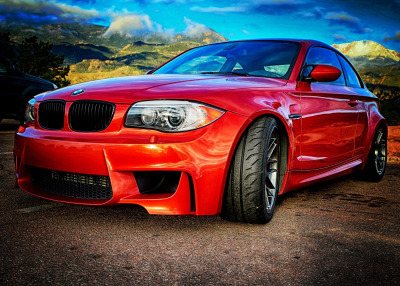 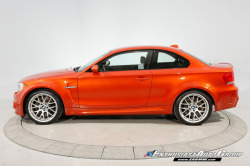 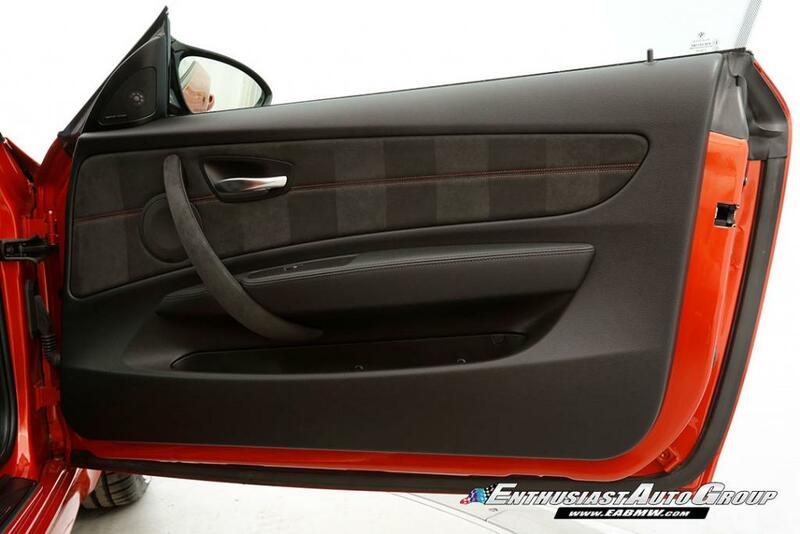 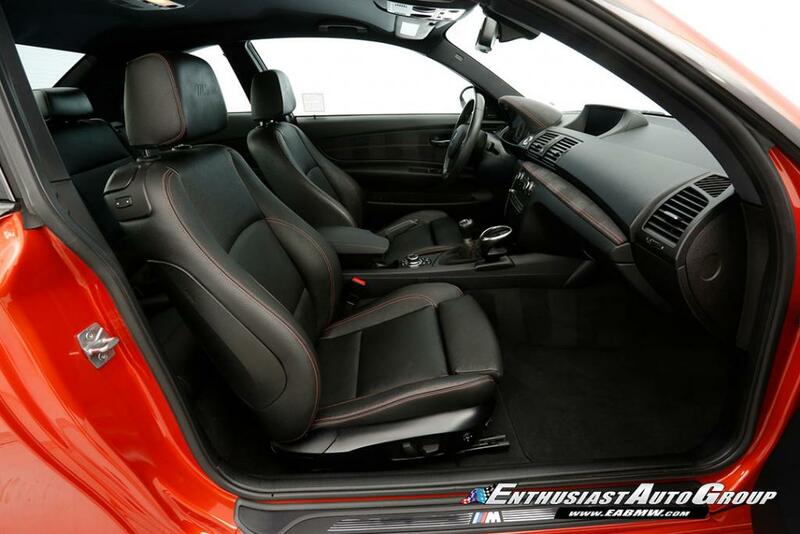 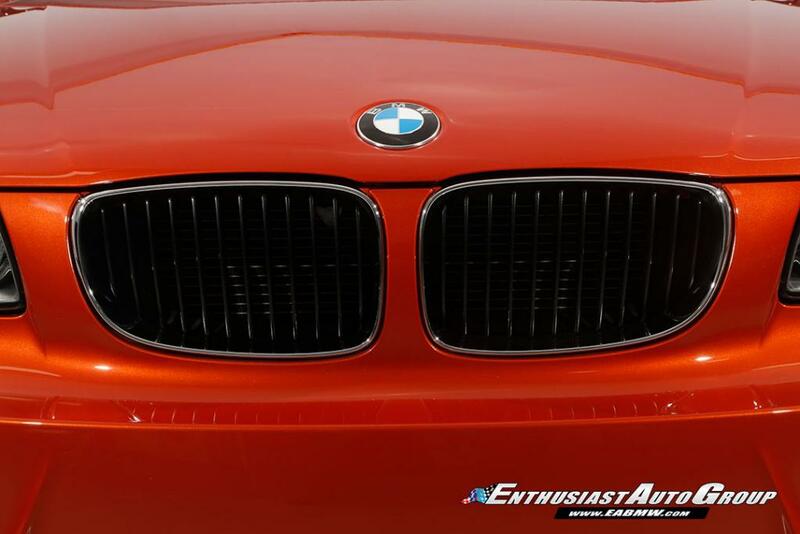 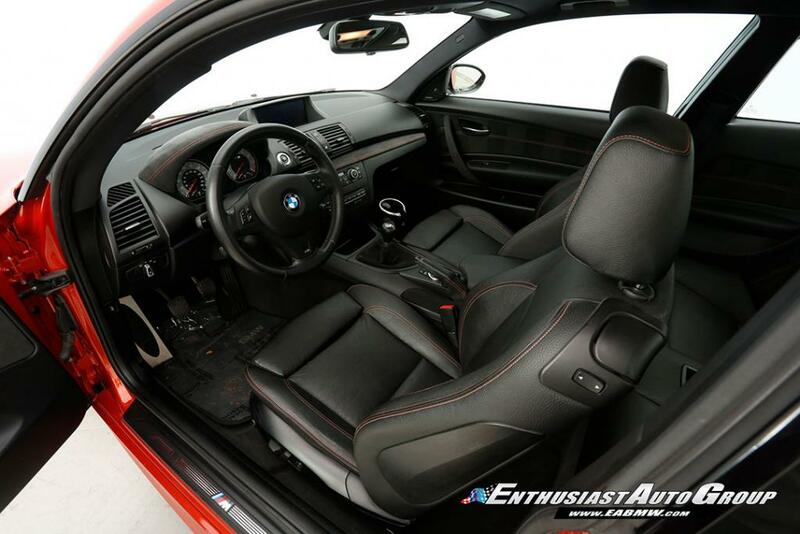 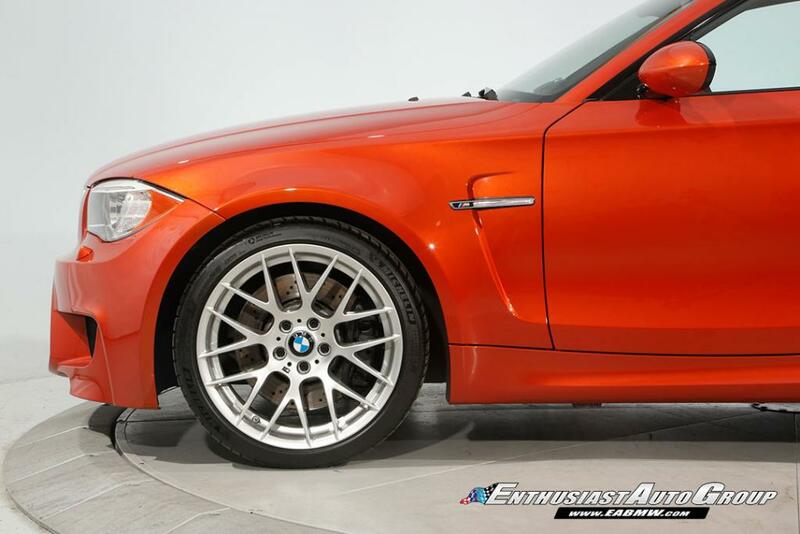 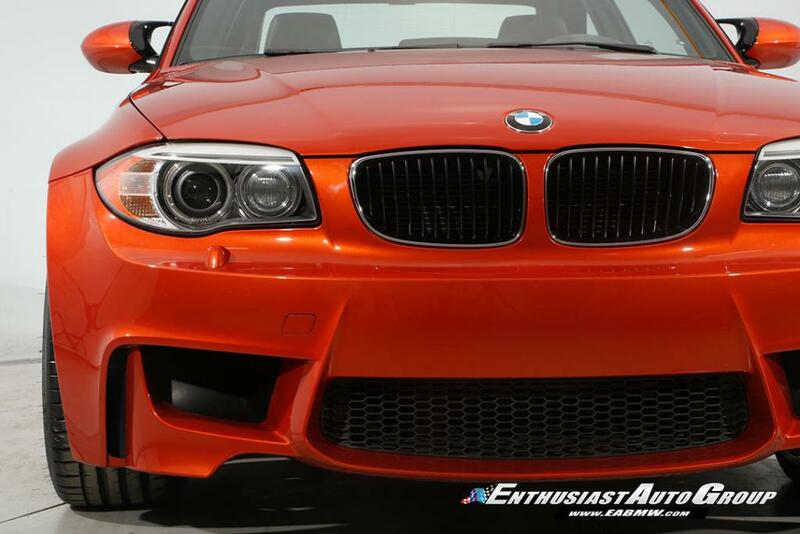 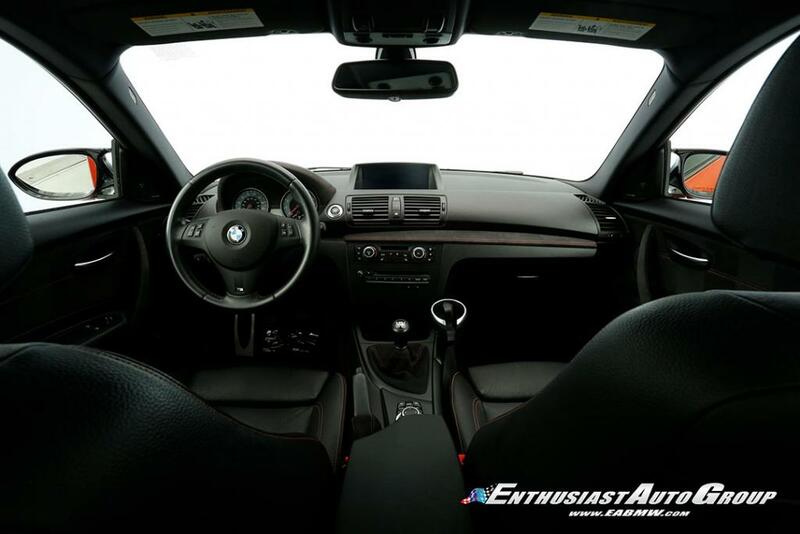 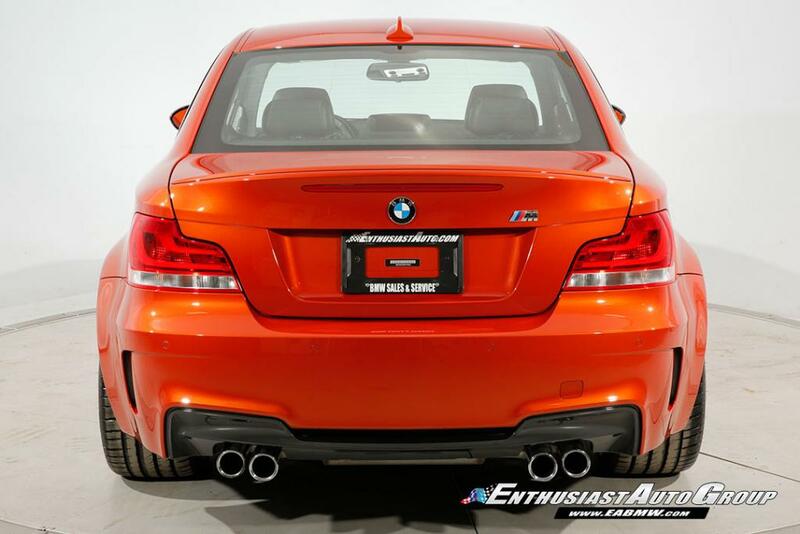 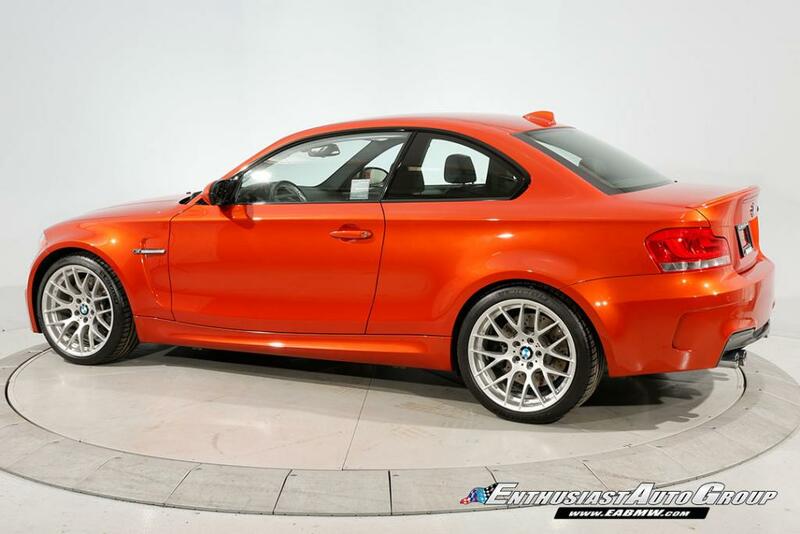 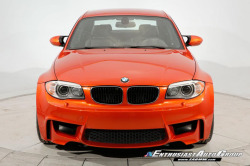 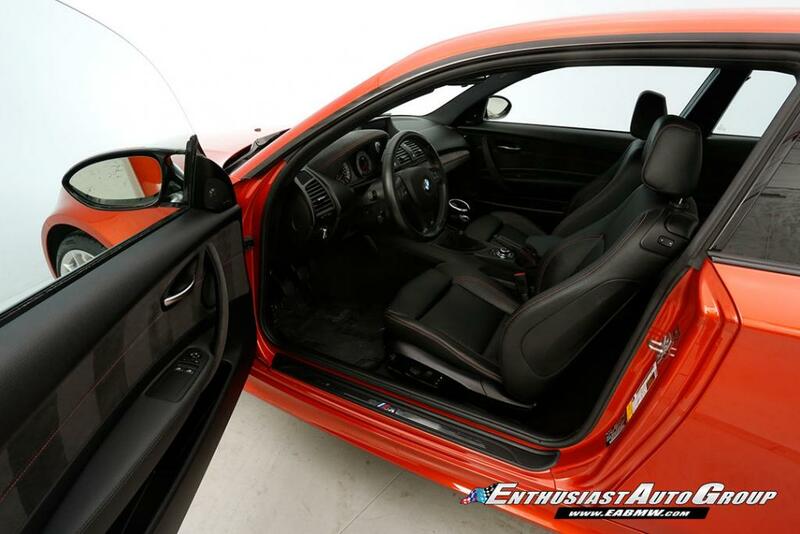 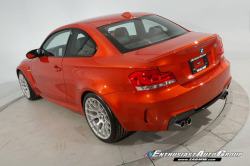 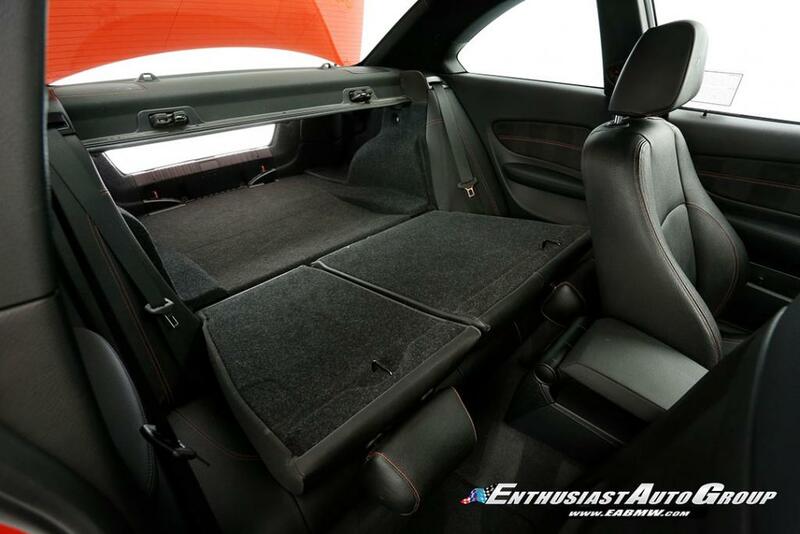 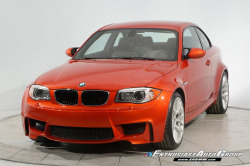 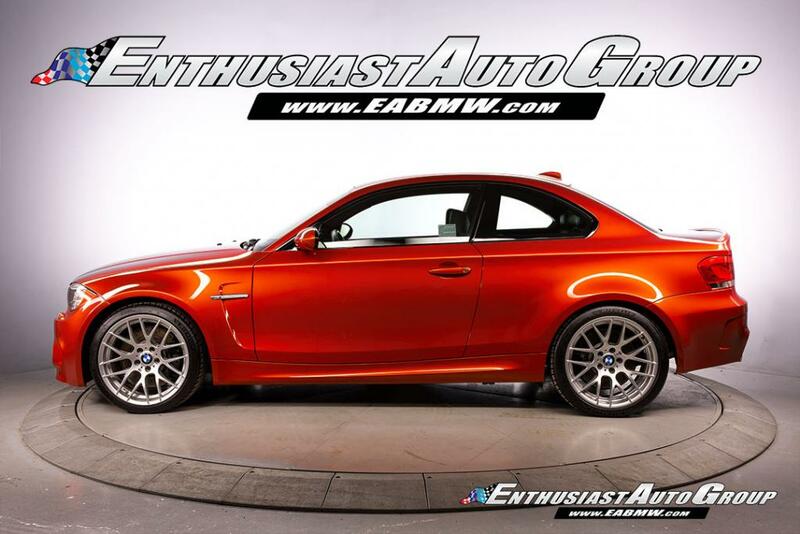 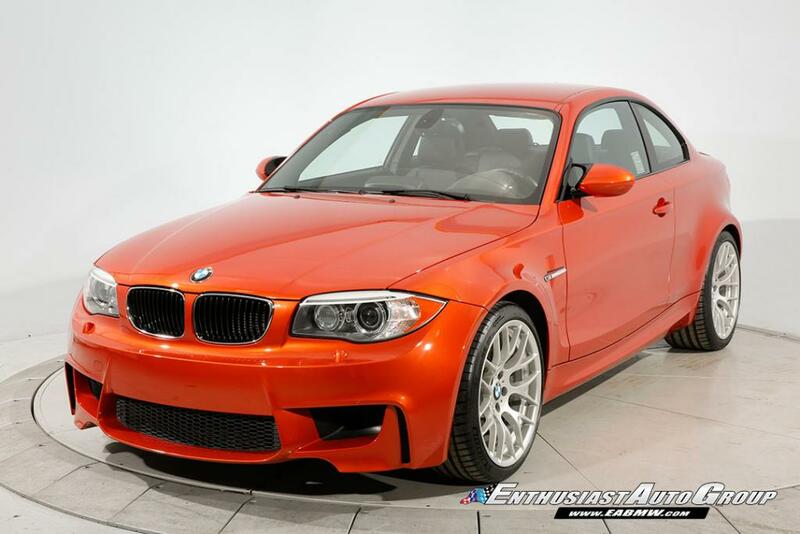 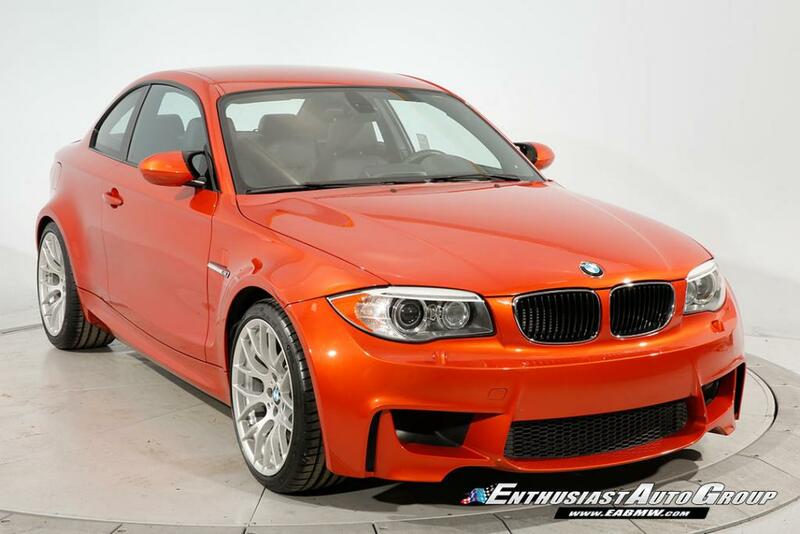 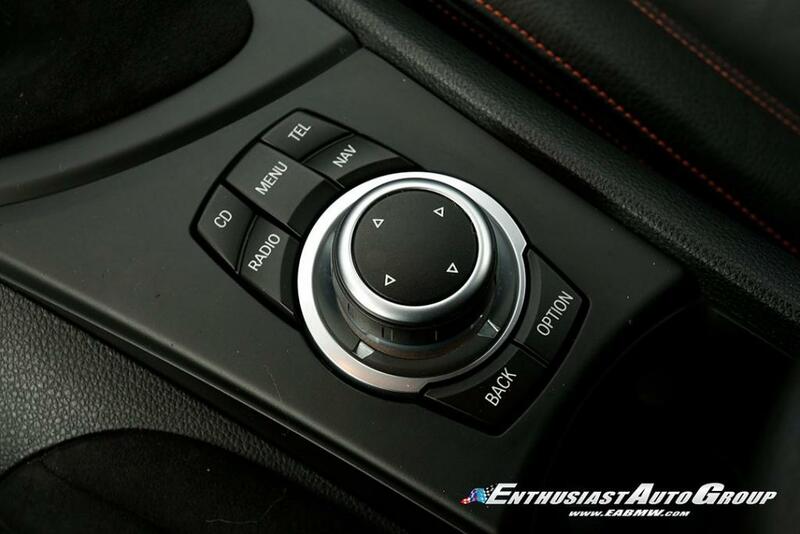 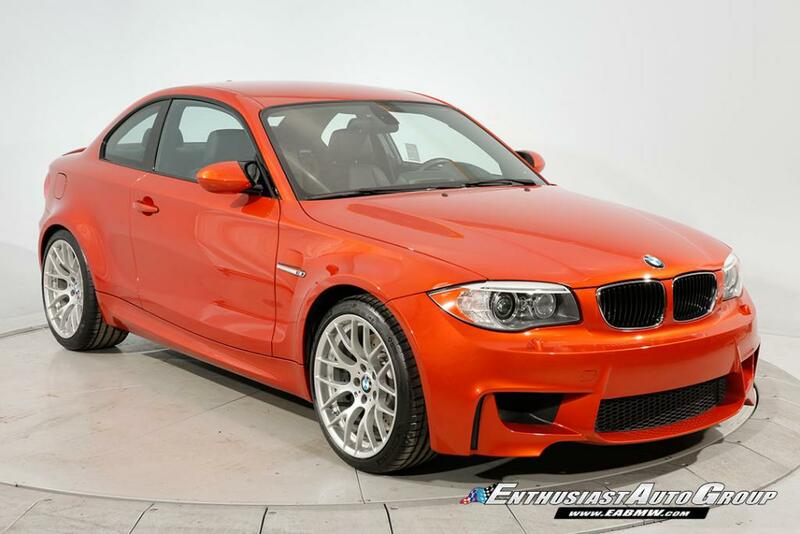 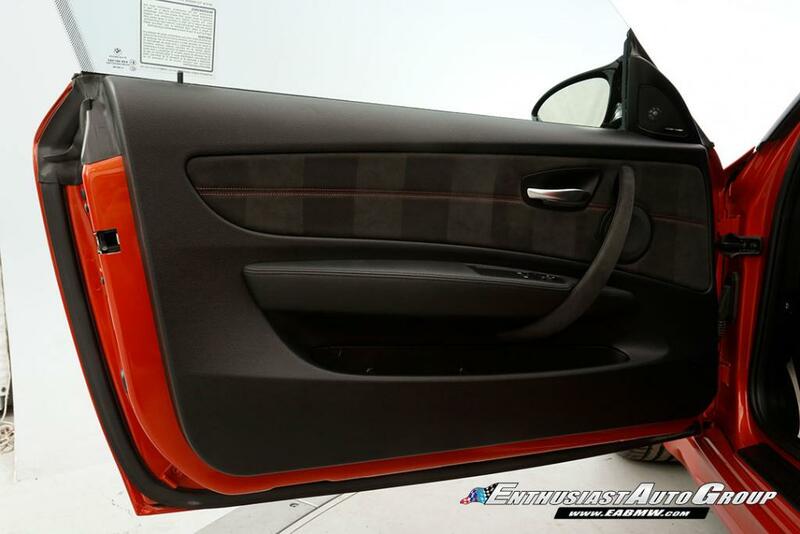 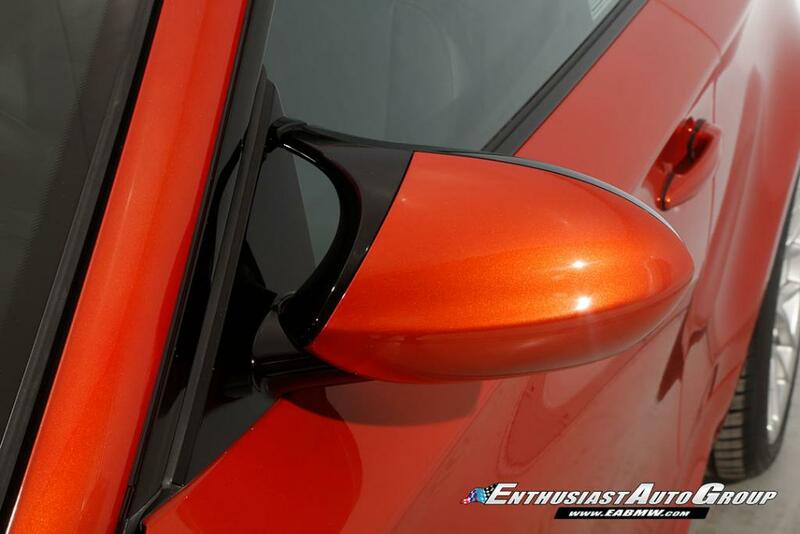 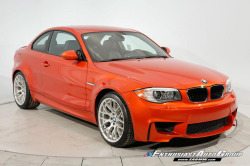 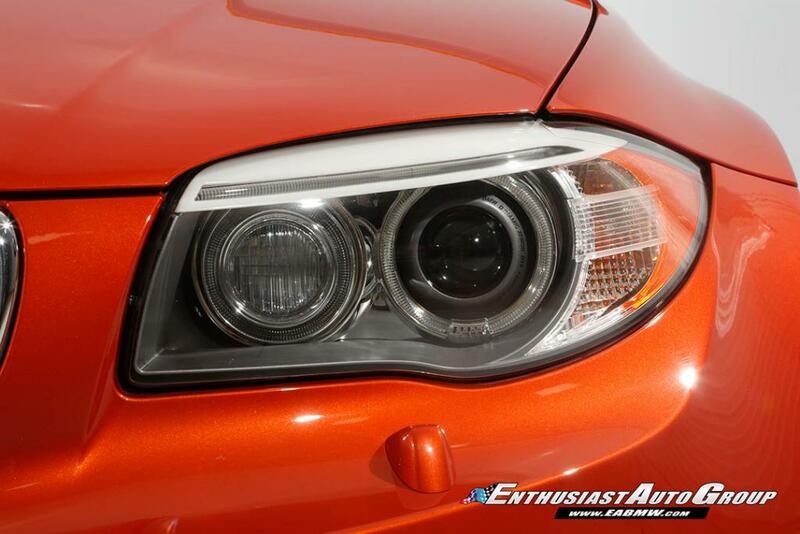 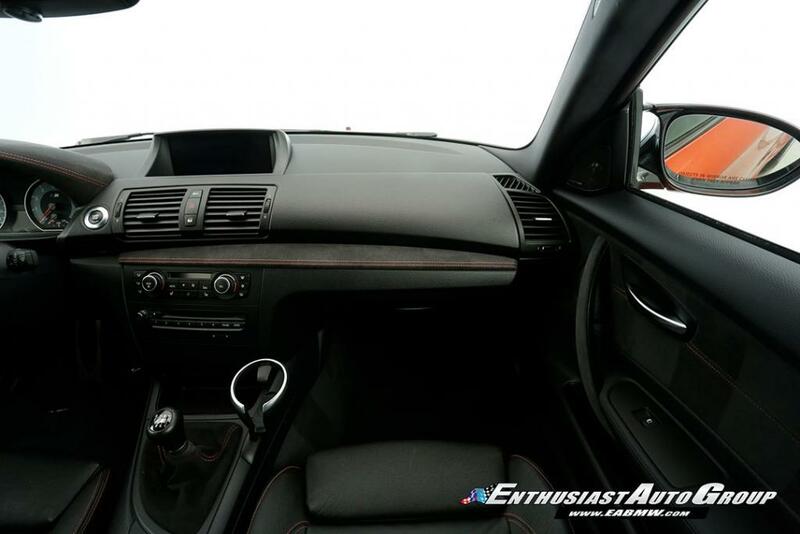 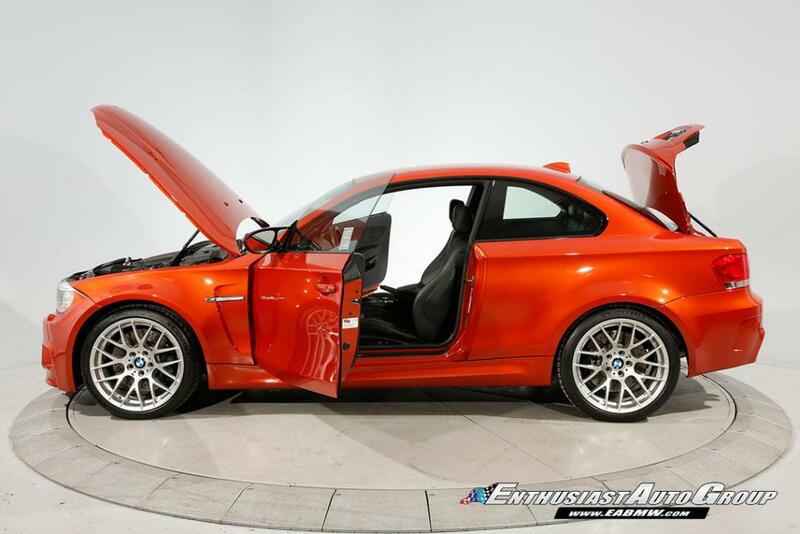 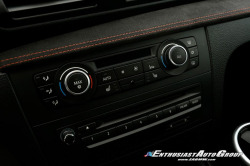 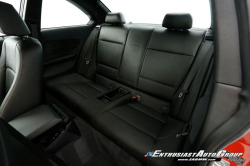 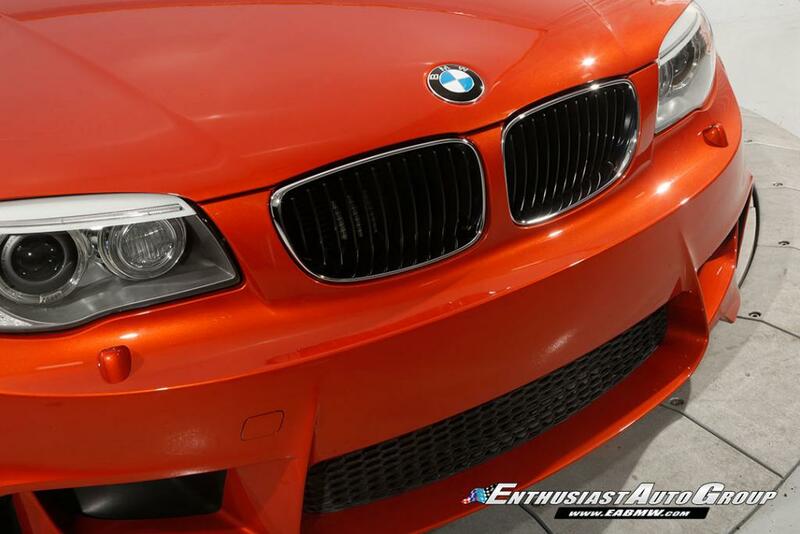 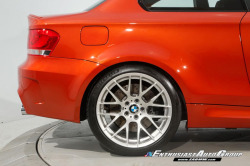 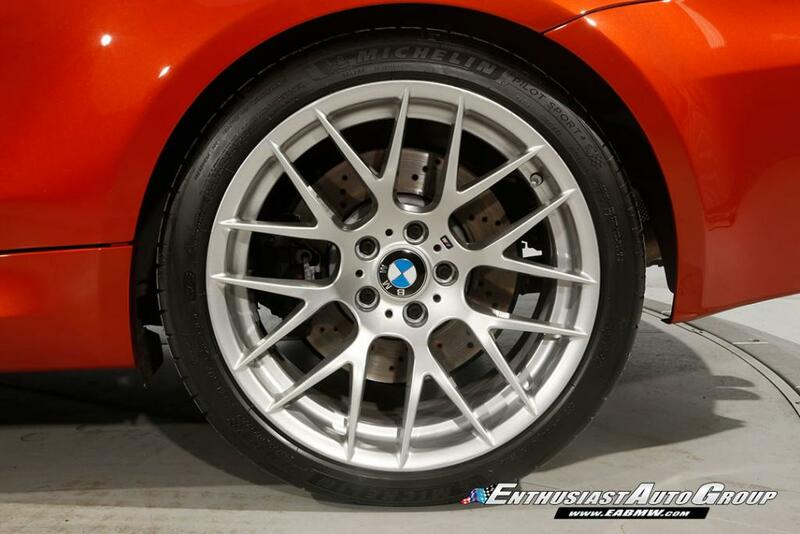 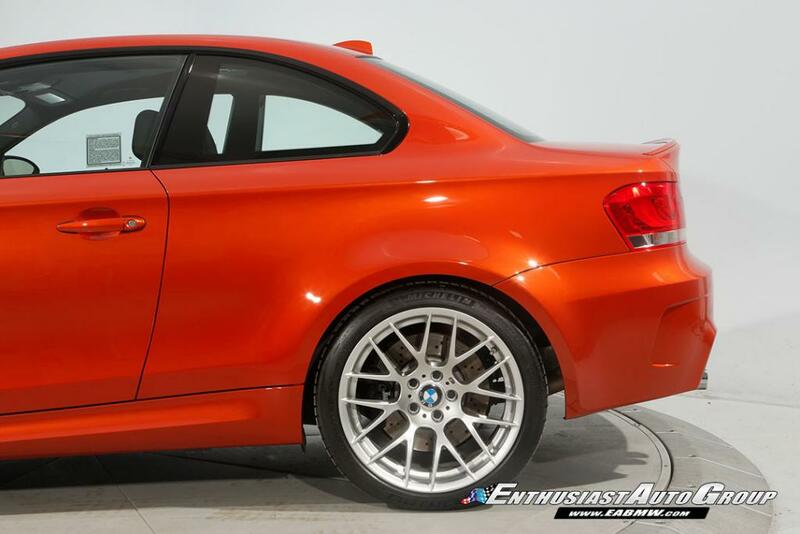 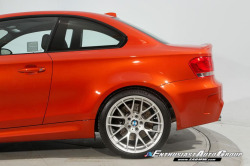 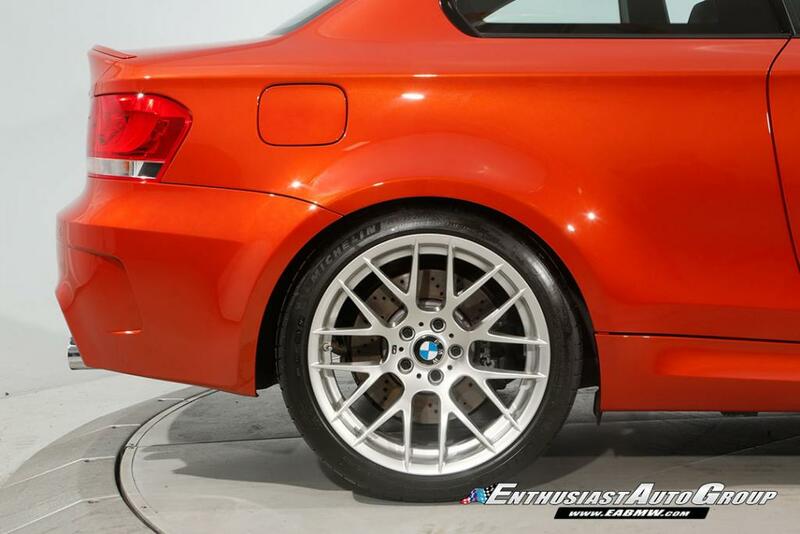 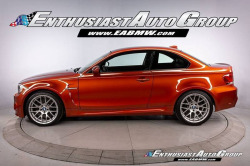 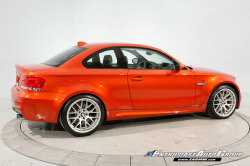 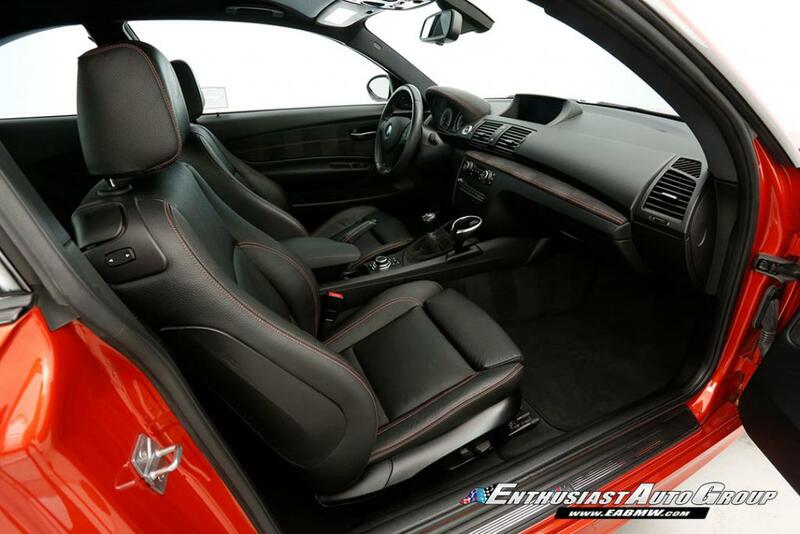 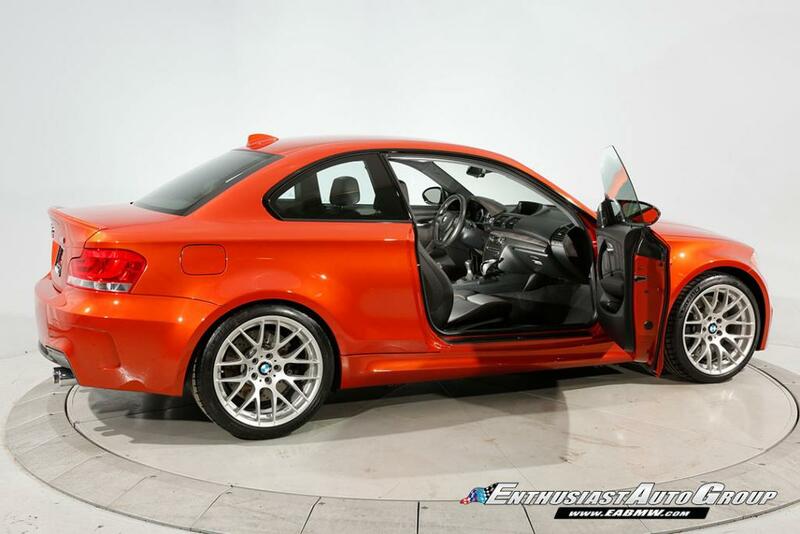 Valencia Orange over Black Leather, Absolutely Remarkable, 1-Owner 1M Coupe! 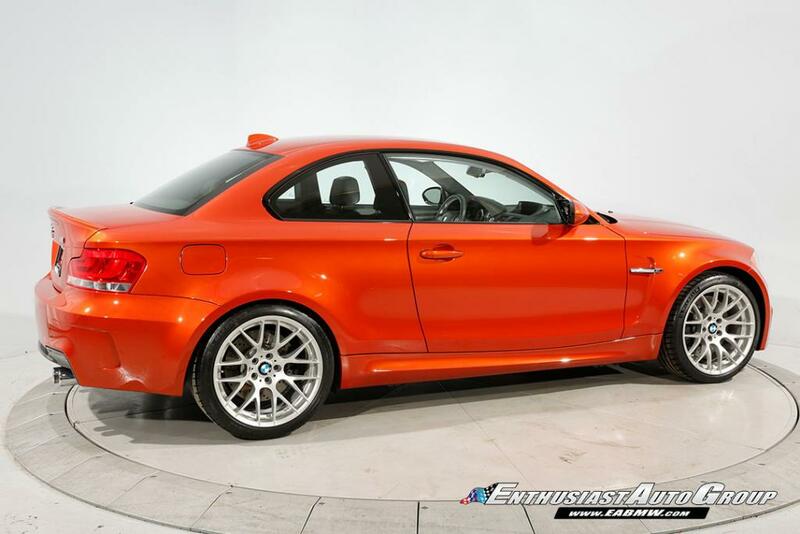 All Original, Never-Modified Stock Example from California! 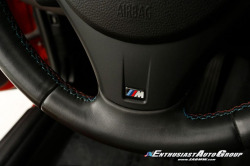 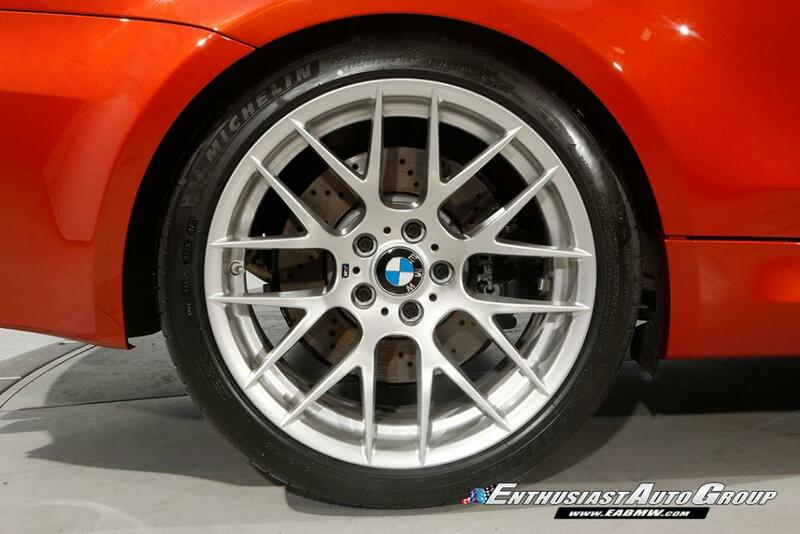 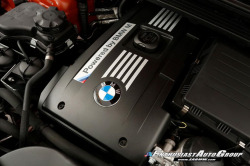 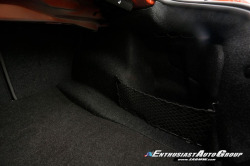 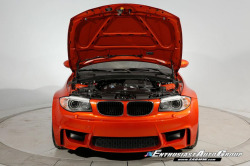 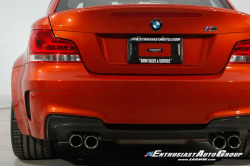 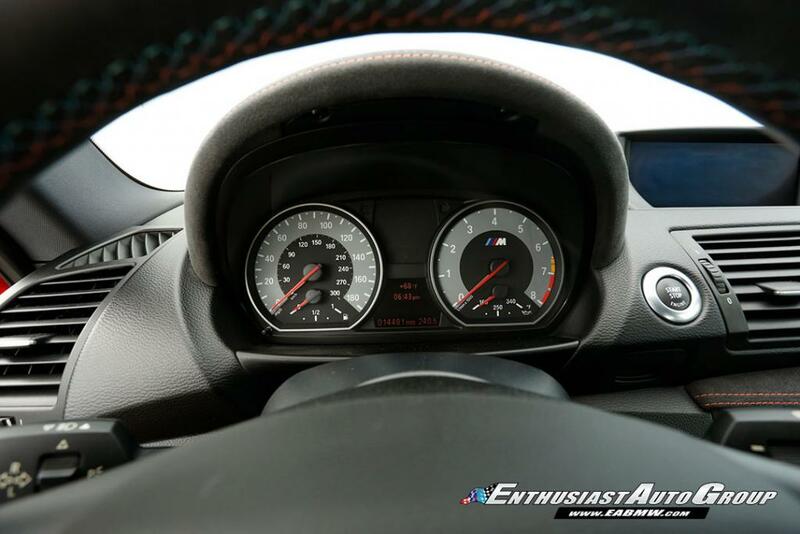 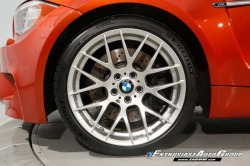 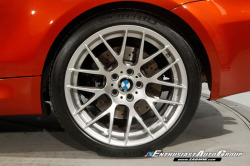 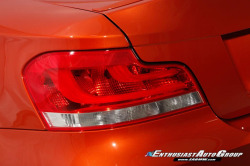 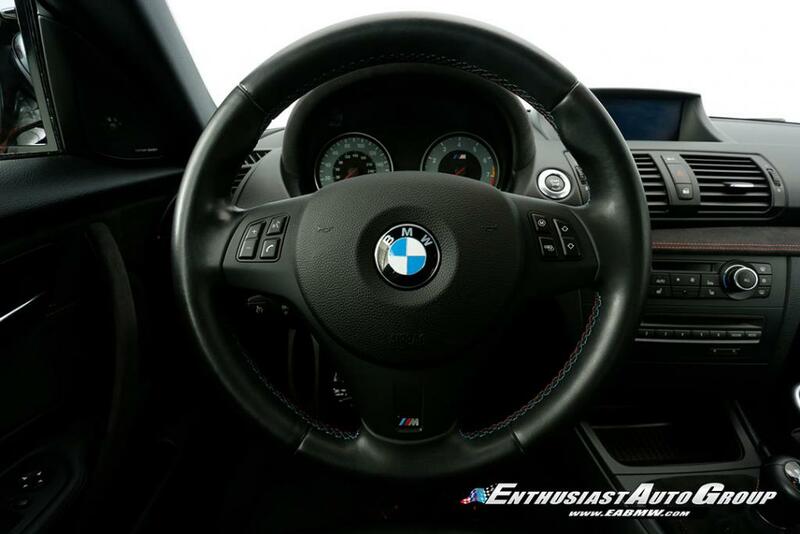 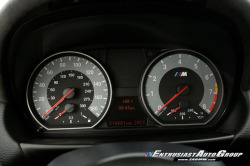 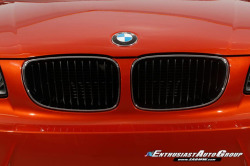 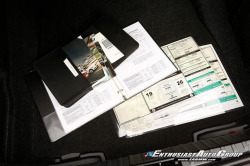 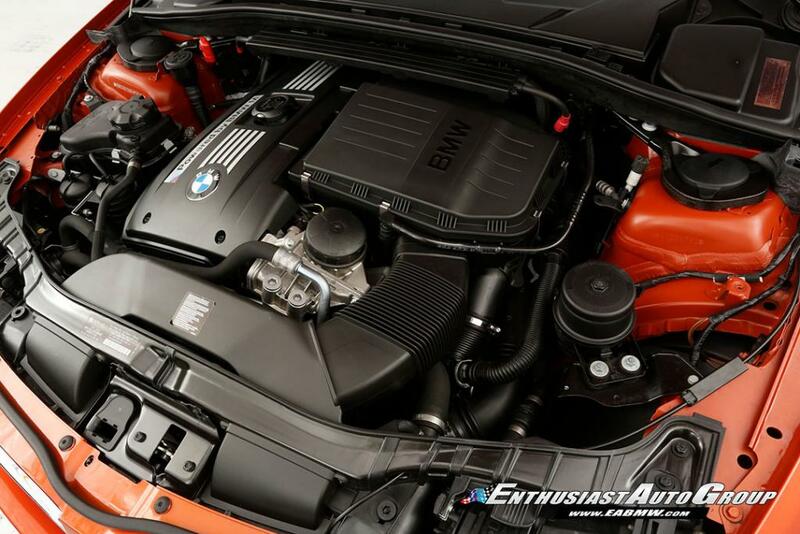 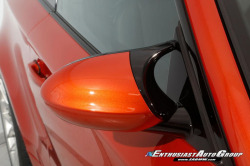 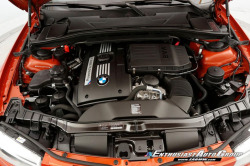 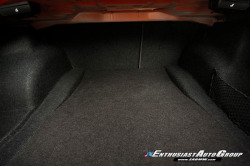 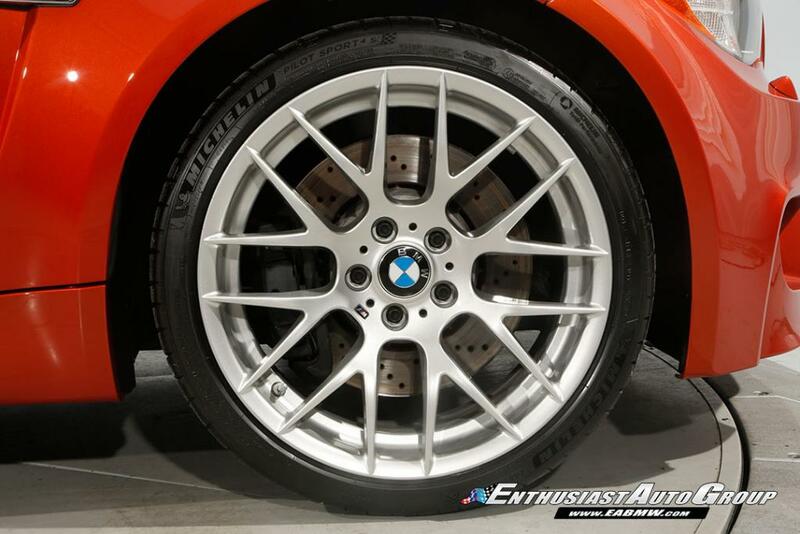 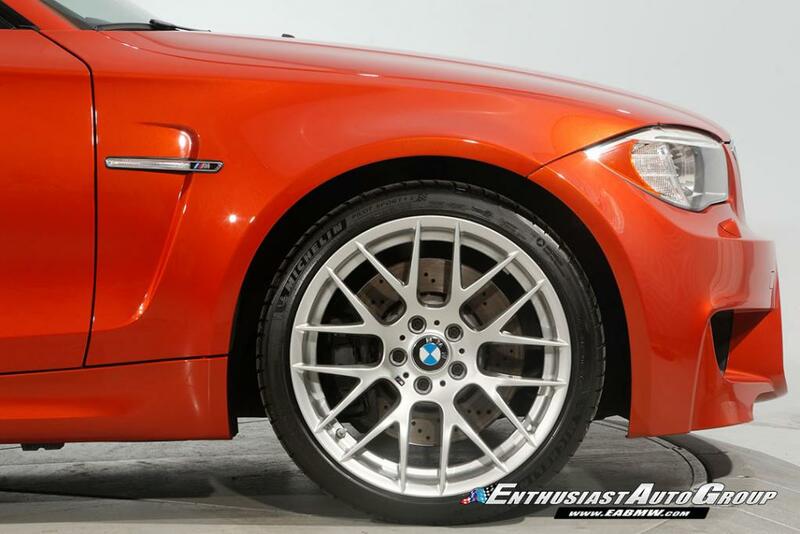 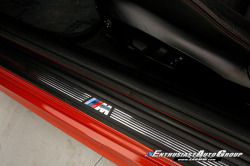 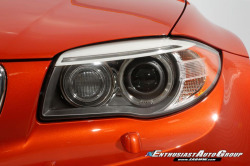 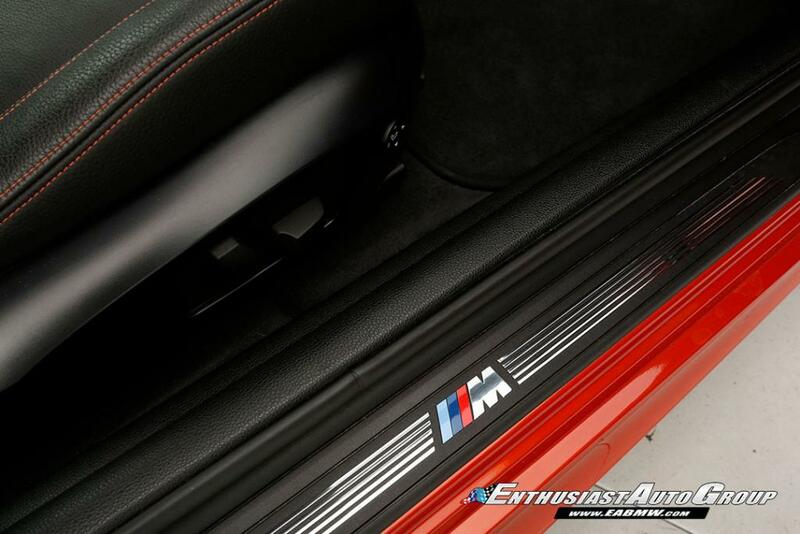 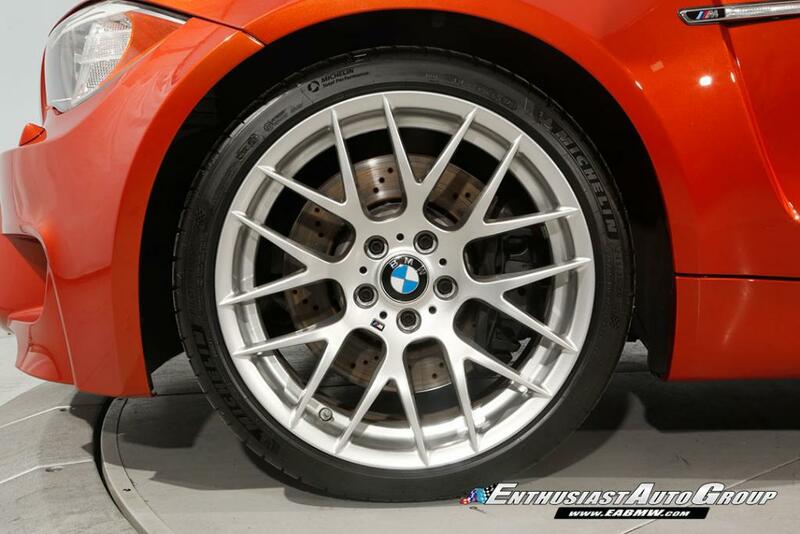 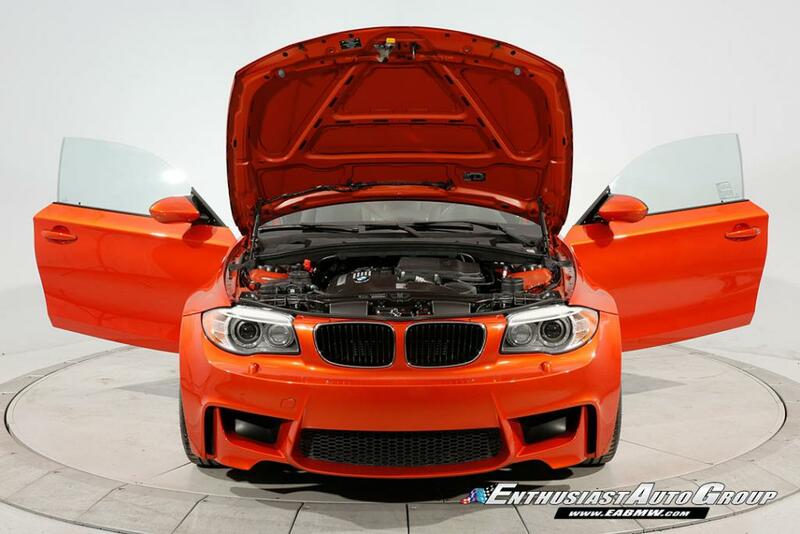 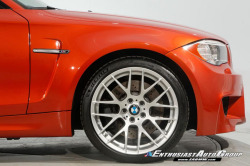 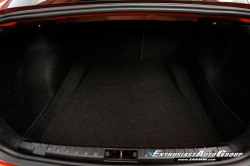 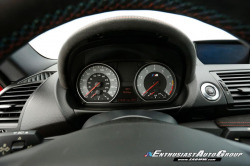 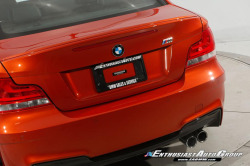 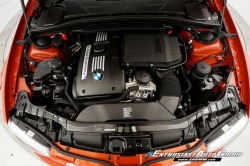 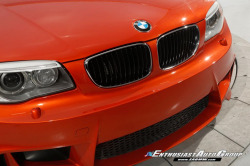 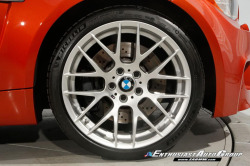 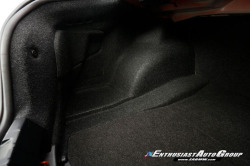 Vehicle Specs Include: N54 Twin-turbocharged 3.0L Engine (335 hp. 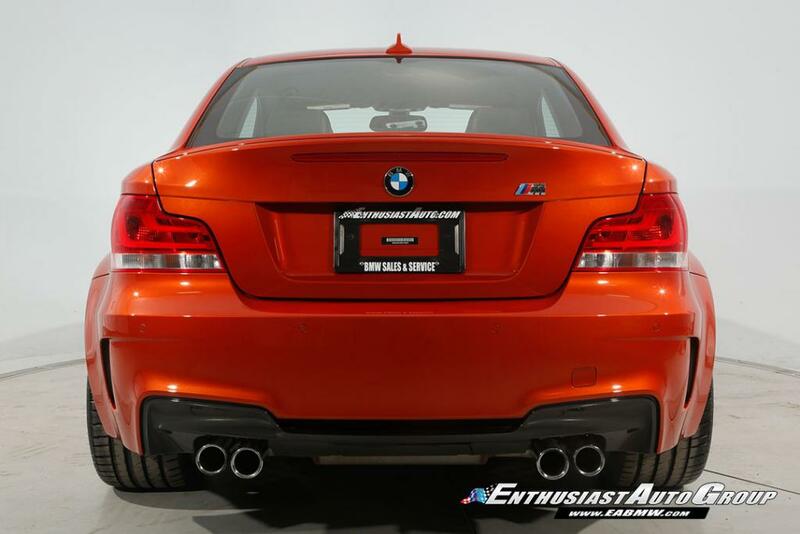 + 332 lb. 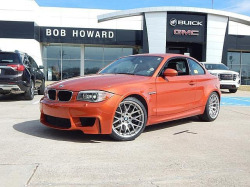 ft. torque), 6 Speed Manual Transmission, Limited Slip Differential Fully Optioned from BMW including: Premium Package with Power Front Sport Seats with Adjustable Seat Width + Lumbar Support, Heated Front Seats, Navigation System w/ Voice Control + Traffic Information, Satellite Radio Preparation, BMW Assist with Enhanced Bluetooth Connectivity, USB/Auxiliary Audio Input, Music Interface for Smartphone, BMW Apps, Harman Kardon Surround Sound System, Alcantara Interior Trim, Auto-Dimming Mirrors, Comfort Access Keyless Entry, BMW Alarm System, Park Distance Control and Adaptive Xenon Headlights with Headlight Cleaning System and Cruise Control. 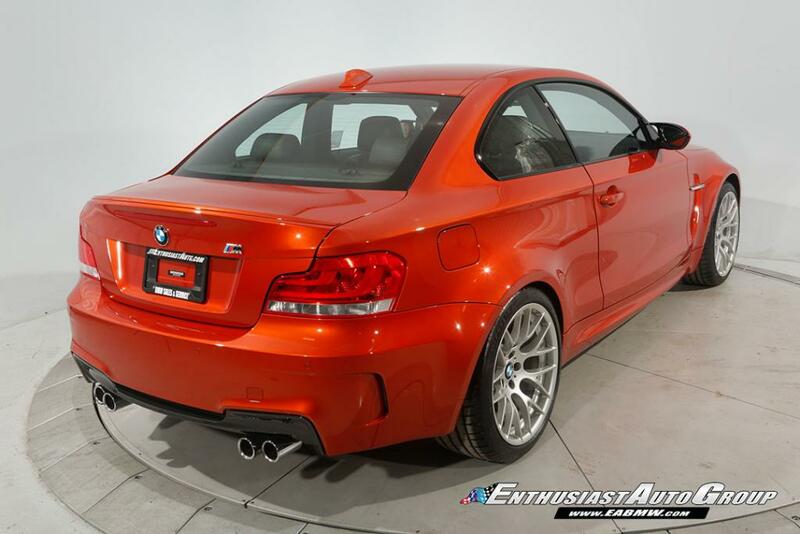 100% Stock Condition with No Performance Upgrades or Modifications. 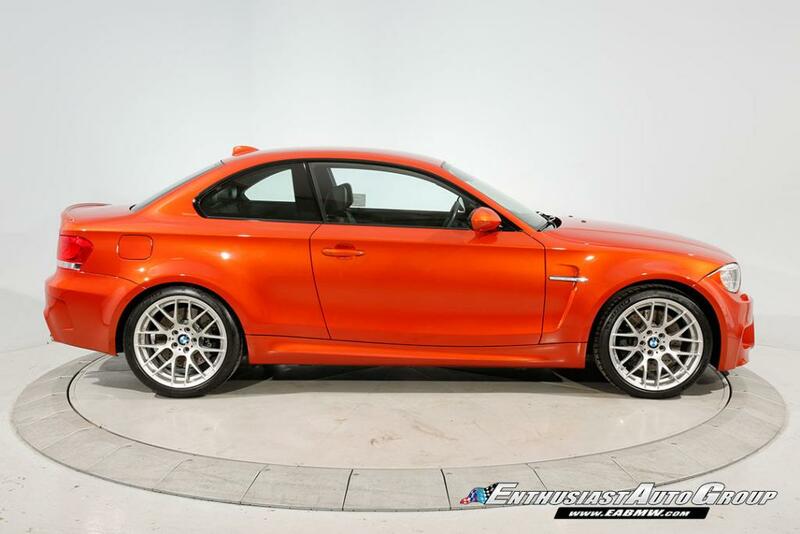 1 of only 740 1M Coupe examples sold in the US. 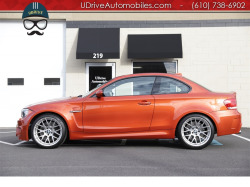 This vehicle is in impeccable condition! The exterior is all original paint with an awesome finish showing no significant flaws or imperfections. 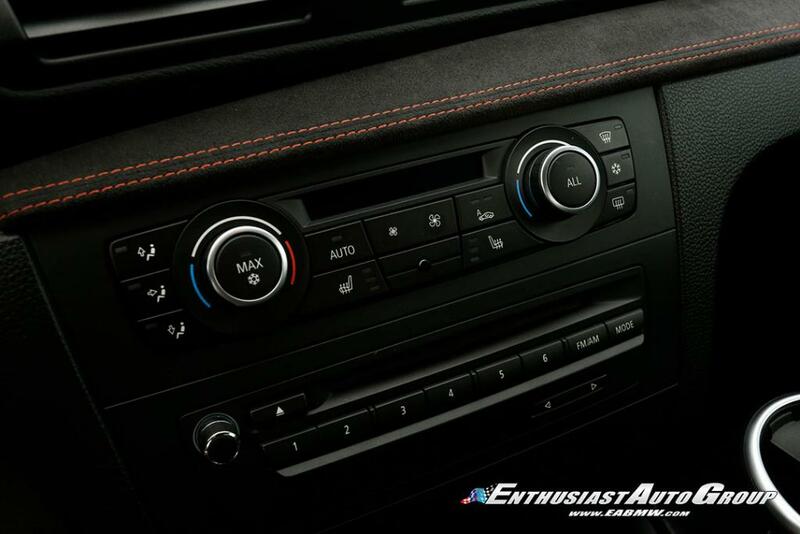 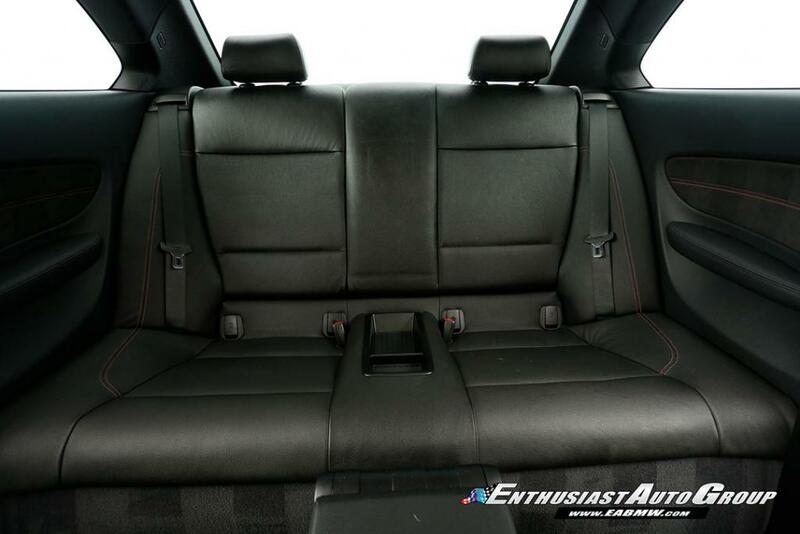 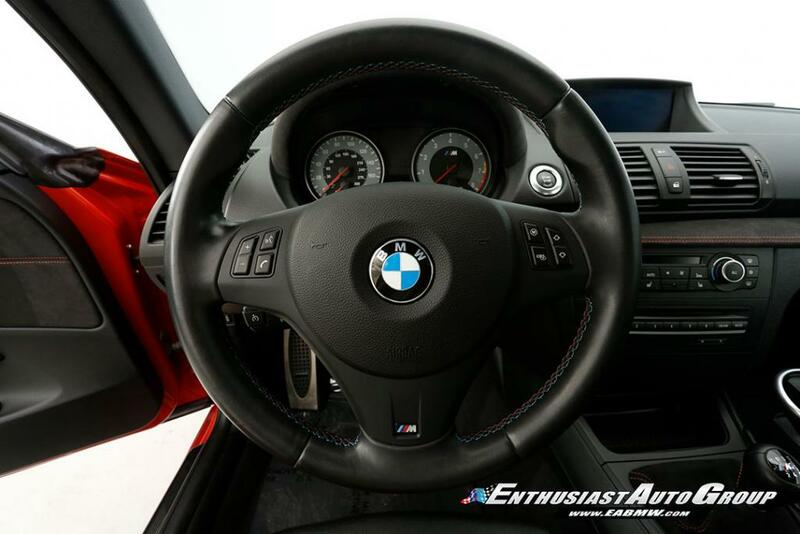 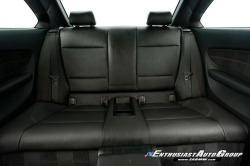 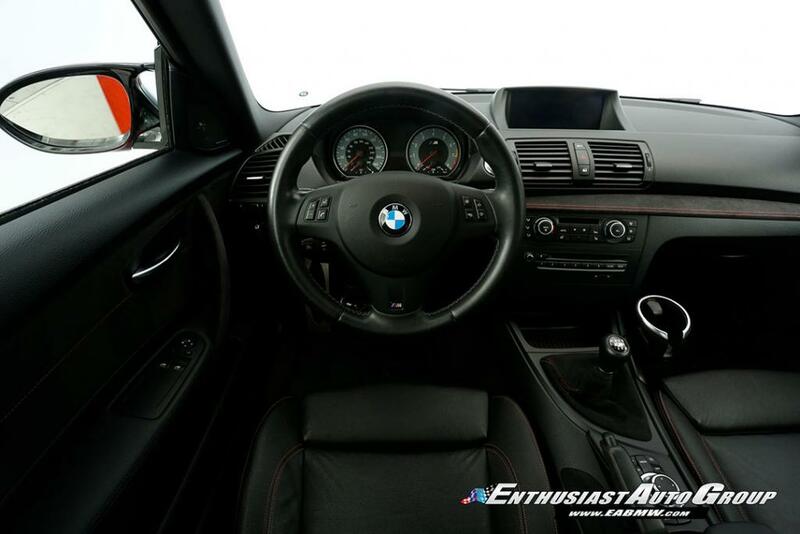 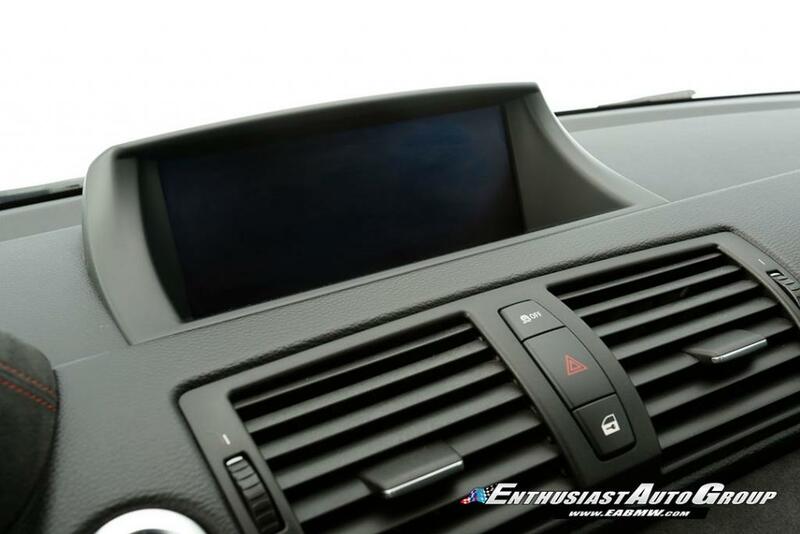 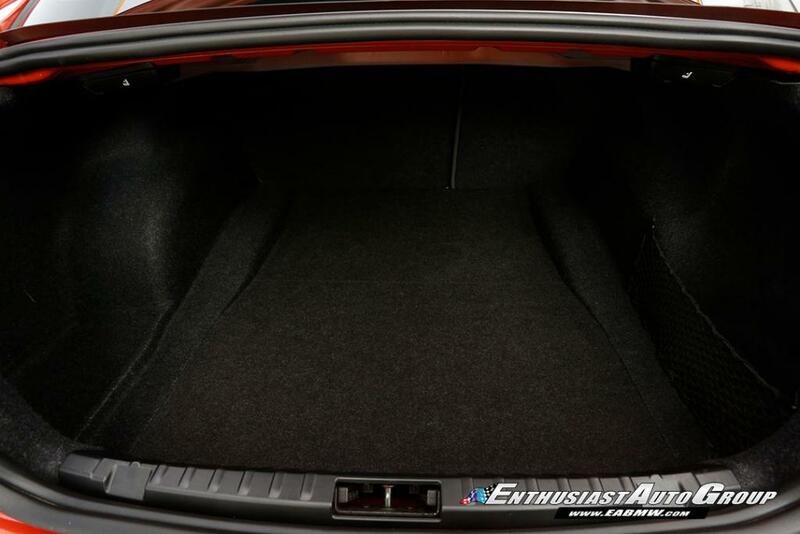 The interior is well-preserved with supple leather, clean carpets and no visible wear areas. This vehicle has been garage-kept in California and only enjoyed on special occasions with good driving conditions. Super clean body + undercarriage with no rust or corrosion. Always properly maintained including the 1,200 mile break-in service, 5 additional engine oil services and multiple brake fluid flushes. 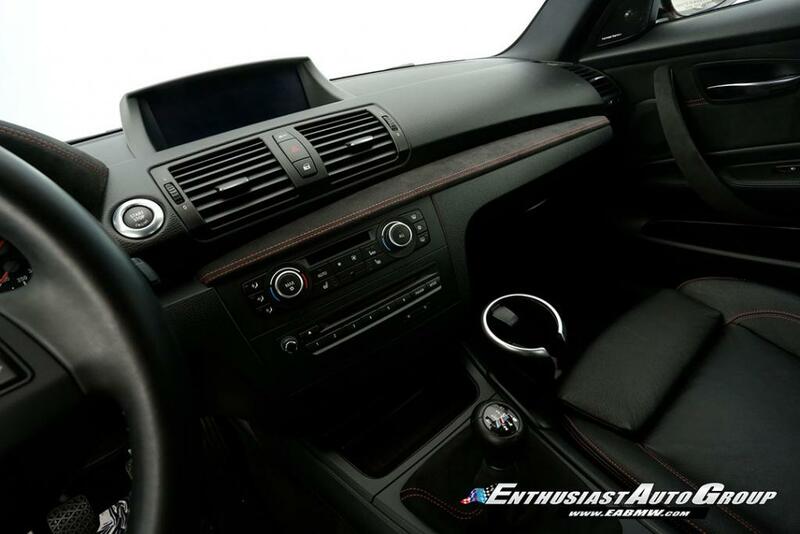 Enthusiast Auto has completed our Comprehensive Pre-Purchase Inspection in preparation for this car to join the next collection! 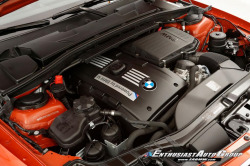 EAG service highlights include a seventh oil service, brake fluid flush with cabin filter and coolant flush. 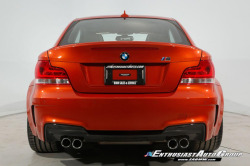 This car will not disappoint! 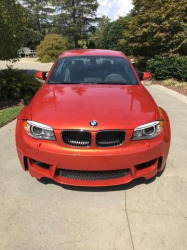 Only 1 Responsible Collector Owner from California, Overly-Maintained Since New! Non-Smoker. 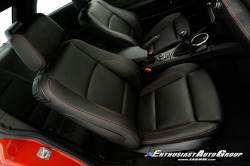 Clean Vehicle History Report with No Accidents, No Paintwork + No Issues!